No Victory Royale for you right now. 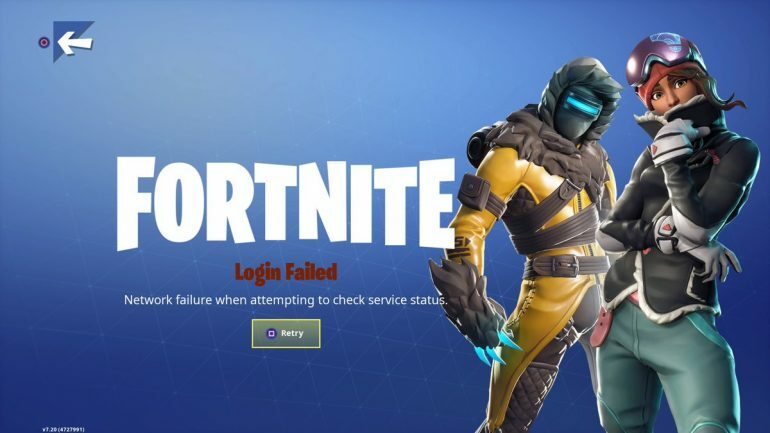 The servers for Fortnite: Battle Royale are experiencing major outages, meaning many player won’t be able to play the popular game for the time being. Fortnite developer Epic Games announced on Twitter at 7:32pm CT that it was aware of the issues players were having, and it was working on a resolution. At the time of writing, though, it appears the game services, login, and store are still categorized as major outages on Epic’s status site. Players attempting to login to Fortnite may get any of several error messages coded into the game, but the result is still the same. There will be a message in red that says “Login Failed,” and a slightly longer message saying why. The outages started just about eight hours before the developer was set to roll out the 7.30 update, which is scheduled for 3am CT on Jan. 29. The update looks to still be happening, but Epic will obviously have to fix its issues with Fortnite before pushing any update. We’ll update this article if there’s any new information about the Fortnite server issues.